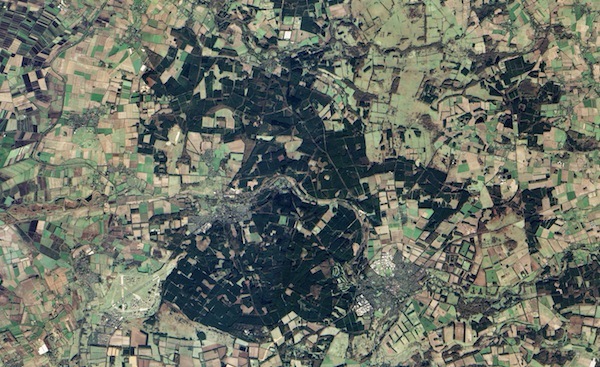 Thetford Forest, at least as it appears today, would not exist were it not for human intervention. The forest was created after World War I to prop up sagging timber supplies. Authorities planted stands of lowland pine in uniform rows in place of thorny evergreen shrubs (gorse) that grew naturally amid the sandy, heath-covered landscape. Today the forest is a popular recreational area, and the pine stands are periodically harvested for timber. Meanwhile, the ecosystem that Thetford Forest replaced—lowland heath—is now one of the rarest and most endangered ecosystems in Europe.